NextInterview with 2018 ARIA Award nominee Fanny Lumsden. 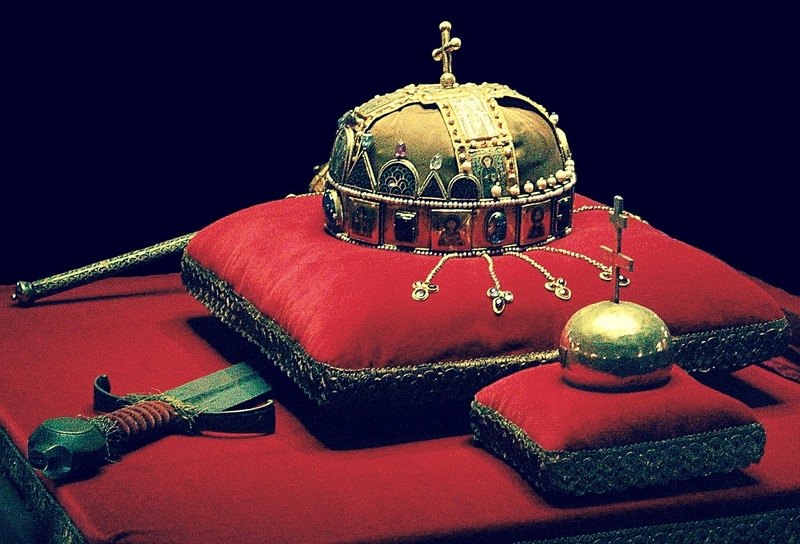 The Holy Crown was originally a gift sent by the Byzantine Emperor Michael VII Doukas to King Geza I of Hungary in the 1070’s. However, in another version of events, according to Hungarian legend, the jewelled crown was sent by Pope Sylvester in the year 1000/1001 to Hungary’s first Christian King, Stephen. But, it is unlikely that the Holy Crown that currently presides in the Hungarian parliament building in Budapest is the original papal crown. The quality and craftsmanship of the gold crown is exquisite, decorated with enamel pictures. The front of the crown shows Christ enthroned in his rightful place as ‘ruler of mankind’ and flanked by archangels Michael and Gabriel and other warrior saints. The reverse of the crown (see above) depicts the Byzantine Emperor Michael VII at the peak of the crown, with his son and heir Romanos to his right, and on the left, King Geza, lower in rank or status to both the Emperor and his son. Interestingly, even though it was meant as a gracious gift to Geza, welcoming him as a Byzantine ally, it was in many ways also a ‘slap in the face’, highlighting his place in the pecking order of rulers, below Christ and Emperor Michael. Be that as it may, there can be no doubt that the Holy Crown has played an integral part in the history of Hungary. For over a millennia it has stood as a precious symbol of Hungarian sovereignty and unity and rightly so. When it was sent away for safekeeping to the United States after the Second World War because of fear that the Soviets would get their hands on it, its absence was mourned for over thirty years. Eventually, under the Carter administration, in the late 1970s, it was returned to the people of Hungary. It is said that people wept in joy during the return ceremony. Photo Credits: The image of the Holy Crown of St. Stephen with sword, scepter and globus cruciger of Hungary is used under the Creative Commons Attribution-ShareAlike 3.0 license.